Our new vintage clothing community is live and ready for Beta testing! 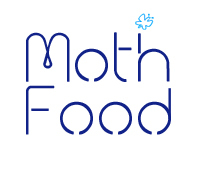 We’re reaching out to our loving Defunkd readers to take the first glimpse and help us work out any “bugs” (other than moths of course). We’ve closed the comments on this post to encourage activity at the new site. If you notice something that isn’t right or are having any issues please report it using the FEEDBACK button located on the right hand side of every screen. 1. Take our vintage clothing search engine on a quick test drive! It’s in the early stages so results are limited. Remember, to preserve the integrity of our results all content is reviewed prior to being indexed. Currently Defunkd.com is the only Web site that has been indexed and there’s a small quantity of eBay sellers who’s listings will appear. But you can make your own additions to it RIGHT NOW…read on! 2. 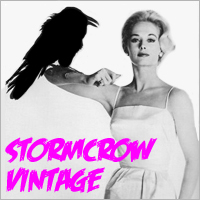 Take a gander at our vintage clothing blog. Big photos showcasing super rare vintage relics and an interesting interview. Much more to follow. 3. Register with our vintage clothing forum and introduce yourself and get the party started. It functions just like the Defunkd forum but it’s designed for vintage clothing enthusiasts from all walks of the web. 4. Now for the best part, register at our vintage clothing directory and start submitting links! If you’re an eBay seller, submit your store URL. If you’re a blogger, submit a link to your blog! Once you’ve done so we’ll index it in our search results asap. 5. If you’re a vintage Tweeter add your updates to our real-time feed using the link at the bottom of the Tweet module.